Patients considering orthodontic treatment may be dealing with a variety of options. Traditional orthodontists provide braces with metal brackets and wires, but there are several other ways for teenagers and adults to straighten their smile without unsightly metal. These days, patients in the Philadelphia area have a variety of options from David Spilkia Family and Cosmetic Dentistry, including Invisalign and Six Month Smiles. 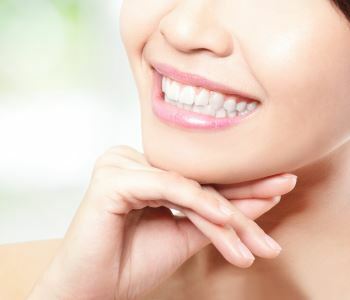 Invisalign is often chosen by patients due to its discreet method of realigning the dental arch and bite. Invisalign uses plastic tray aligners that are worn day and night over the teeth to push them gently into better positions. This is done over the course of several months. These clear aligner trays are hard to notice when worn, making this treatment preferred by teenagers and adults engaged in daily social situations. Orthodontics should always be considered when individuals want to improve their dental health and the aesthetics of their smile. Misaligned teeth can cause poor oral health, as there are many spaces for food to become stuck and plaque and tartar to develop. This can lead to cavities and periodontal disease. A straighter smile is easily cared for and it can reduce one’s risk for dental concerns. Patients who straighten their smile also feel much more confident and enjoy better self-esteem, as well as better chewing and speaking efficiency. Invisalign works by gently repositioning the teeth two weeks at a time using the aligner trays that fit precisely over the natural teeth. They are made using molds of the teeth at the beginning of treatment, which are sent to the Invisalign laboratories for the fabrication of an entire series of trays. These are used every day for amazing results as long as patients are compliant with wearing their trays. Patients around the Philadelphia area who are interested in learning about alternative methods of orthodontics available through David Spilkia Family and Cosmetic Dentistry are encouraged to contact us today to schedule an examination and consultation appointment. This allows our team to evaluate one’s smile to determine if Invisalign or Six Month Smiles is appropriate for their needs and budget.